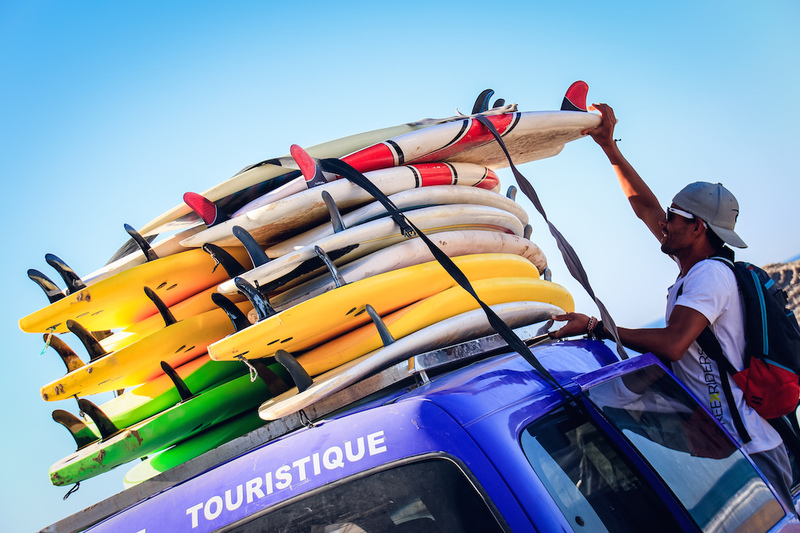 The Dynamic Loisirs Surf School overlooks some of the best surf spots of Taghazout, Morocco. The surf school operates year round as Morocco’s temperate climate and good winter waves gives us the opportunity to surf year round. 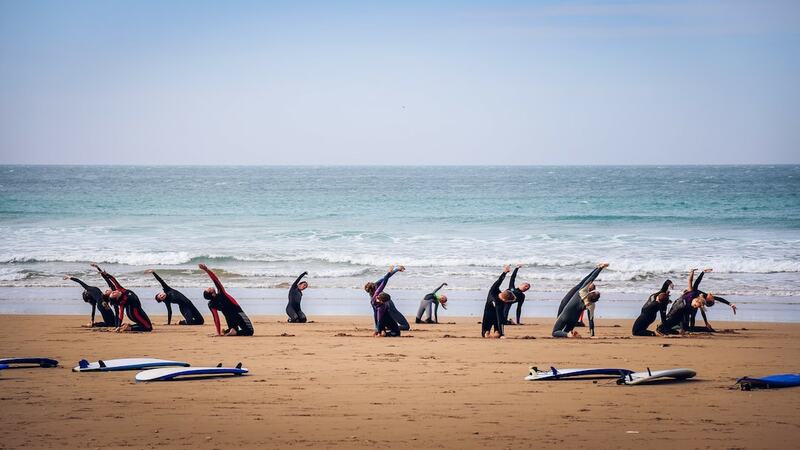 The quality of the waves between Taghazout and Agadir makes it one of the best European locations for a surf school. – Transfers to and from the airport. – Accommodation in the surf camp with full board. – Use of all all the surf school equipment. 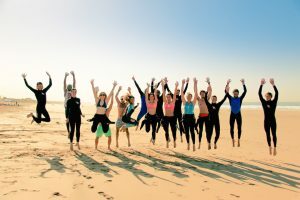 For experienced surfers coming to Morocco our surf camp gives you the advantage of being in front of the best surf spots. You can store your equipment in safely, rinse and dry your suits without problem. Whatever your surfing level, our Surf Instructor will take you to all the best spots depending on the conditions of the day. Check out our different accommodation formulas in our surf camp. What’s the surf like right now? Check out the web cam. Not yet convinced ? Watch these videos from our clients.